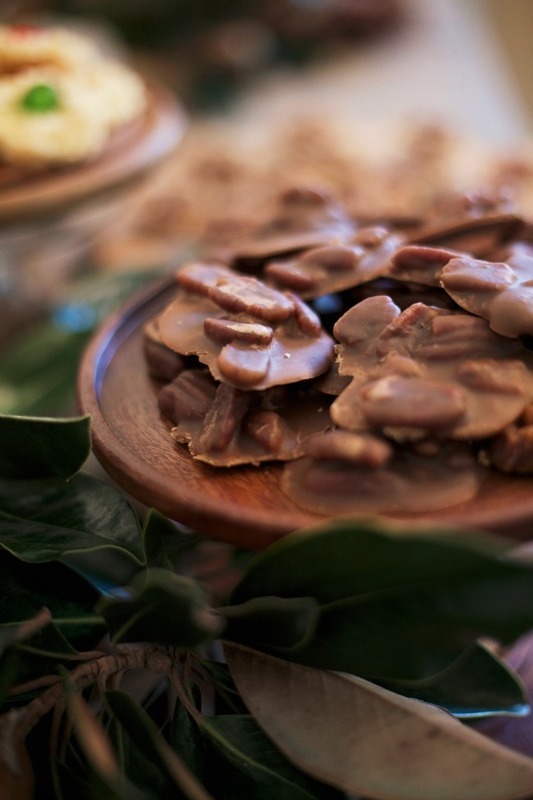 For me, some of those treasured memories belong to my Grandma’s Holiday Pralines. There is not a single Thanksgiving nor Christmas that I can recall that did not include her pralines. There is also not a single Thanksgiving nor Christmas that I can recall not having indulged in way too many pralines. I enjoyed them before dinner. I enjoyed them for an after dinner dessert. I enjoyed them on the ride home. And sometimes I enjoyed them the next morning, too. 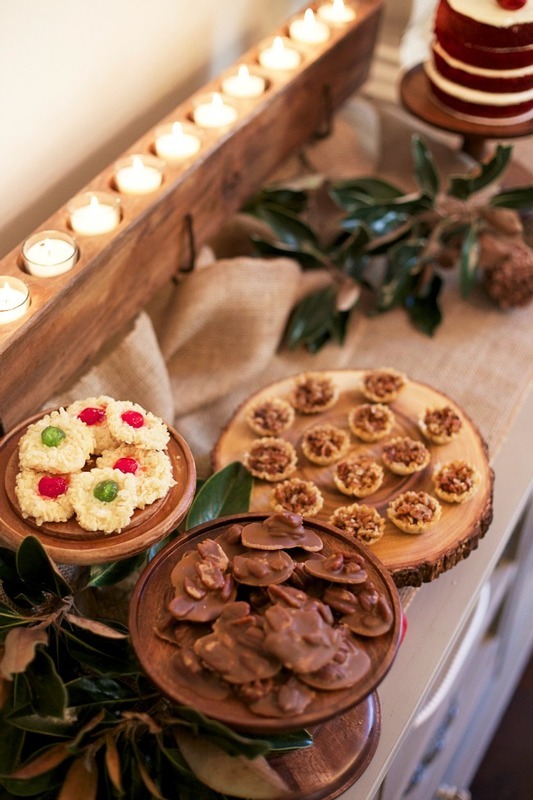 There were always an abundance of pralines, different flavors even, and I always went home with a “to go” box of pralines, chocolate covered nuts and candied pecans. And probably a slice of pecan pie, too. 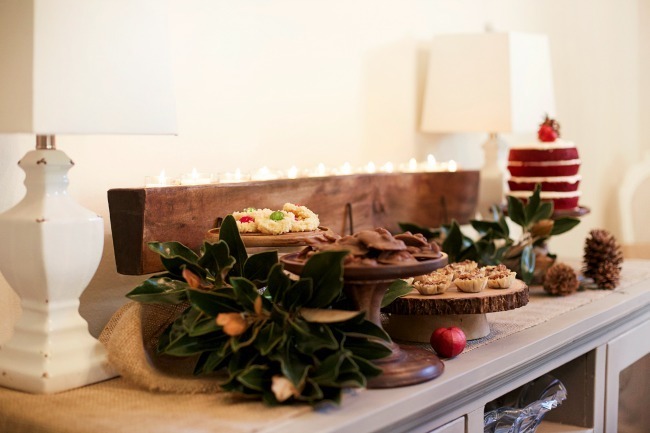 And if you’re wondering why so many of her desserts included pecans, it’s because she had 2 of the most abundant Pecan Trees in her backyard. My mother was not a baker or sweets maker so when I was recruited to help with Grandma’s holiday candy making I always gladly accepted. It’s where I learned her secrets for getting the pralines to “set”. And it’s also where I ruined my first batch. As I got older and started baking and ingredient shopping on my own, I purchased all the ingredients I watched my Grandma use all those years. Domino Sugar (because it was manufactured in New Orleans, and pre-dated me sewing aprons for Imperial Sugar), McCormick Vanilla Extract (because she said it was the richest and most flavorful) and Borden’s Evaporated Milk for which there was no reason it’s just what she used. To this day, with the exception of the sugar, I continue to use those same brands. They are predictable and familiar, and I know that my pralines will taste just as my Grandma’s did each and every time. The only time I run into issues is when I run out of seal-a-meal packages containing her “magic” Pecan Tree pecans. As we bid farewell to Summer and gleefully kick Halloween out the door, it’s time to begin thinking about holiday baking and gift giving. As much as I love to eat pralines, I also love to use them as neighbor gifts. They remind me of home and sometimes, when you’re missing home, it’s nice to think that someone else might be missing home too and will appreciate your thoughtfulness. It makes gifting something homemade and personal all the more gratifying. Do you have a recipe that reminds you of home or an aroma that captures the joy of the holidays? This is a sponsored conversation written by me on behalf of McCormick – Baking Superiority . The opinions and text are all mine. I don’t know if I like your pralines or your story telling more! You just transported me right into your grandmother’s home. And now I want some pralines! Hi Debra! Ironically, the brand didn’t want me to post the recipe with this post, HOWEVER, I’m working on adding it separately over the weekend and will link it. Thanks for being interested!! !